Want to organise a prize promotion in Italy but don't know how? In Italy, prize promotions are governed by legislation that details the administrative procedures and tax liability involved. Regulations also impose severe penalties if procedures are not followed or if illegal promotions are conducted. In Italy, competitions based on chance or skill are treated equally. Legislation governs both competitions and prize draws, establishing the necessary requirements for both types of operation. To avoid running into problems with Government departments and possibly incurring penalties, you need to hire an authorised agent with all the skills needed to run a risk-free promotion. 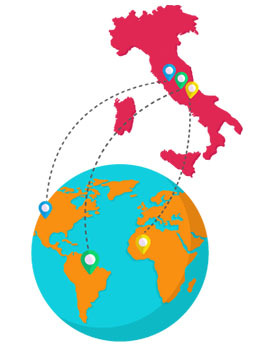 If you want to organise a competition or prize draw specifically for the Italian market, Promosfera is the ideal partner to provide you with direct support in English. In Italy, penalties can be very high. Fines for illegal promotions are between €50,000 and €500,000!